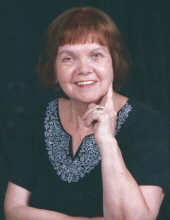 Frances C. “Fran” Fink, age 78 of Darlington, WI passed away peacefully Wednesday, March 27, 2019. She was born July 28, 1940 at Jenks Maternity Home in Darlington the daughter of Clarence and Vera (Dunn) Peterson. Fran graduated from Darlington High School in 1958. She was united in marriage to Frederick W. Fink on June 14, 1958 at Holy Rosary Catholic Church in Darlington. Fran was employed at the Lafayette County Human Services in Darlington retiring after 42 years. Fran is survived by her husband Frederick at home; her children: Fred F. Fink of Darlington, Carmen (Victor) Brunner of Madison, WI, Francie (Bruce) Tuescher, Terry Fink, and Jarrod Fink all of Darlington, Dustin Fink of Monroe, WI, and Kirsten (Steve) Kjenner of Janesville, WI; her grandchildren: Matthew Fink, Doug (Sarah) Kennedy, Heather (Cole) Stocks, Alyssa Tuescher, Jamie (Andrea Hunt) Kjenner, Melissa Kjenner, and Stephanie Kjenner; her step-grandchildren: Britton Kjenner Shana Disrud; her great-grandchildren: Devin Kennedy, Kaylee Kennedy, Axle Stocks, Daxton Stocks, and Mavrix Stocks; one step-great-grandchild: Skyleigh Disrud; three sisters: Fabian (special friend: Mike Sullivan) Meyers, Alberta Milestone, and Mary Camilla Anderson; and one brother-in-law: Jerry Hicks. She was preceded in death by her parents; two brothers: Raymond and Basil Peterson; one sister: Justine Hicks; and her brothers-in-law: Hank Meyers, Bob Milestone, and Charles Anderson. Fran was a member of Holy Rosary Catholic Church in Darlington, the Darlington American Legion Auxiliary #214, and was a proud charter member of the Lafayette County Historical Society where she served two terms as the President. Fran was a volunteer director of the Darlington Museum for 32 years. She cherished the time she spent with her family, especially her grandchildren and great grandchildren creating memories they will all remember forever. Fran enjoyed collecting antique and vintage dolls and researching history of all topics. Fran will be sadly missed and fondly remembered by her family and friends. A Mass of Christian Burial will be held Sunday, March 31, 2019 at 4:00 P.M. at Holy Rosary Catholic Church (104 E. Harriet St., Darlington) with Rev. Joji Reddy officiating. Burial will be in Holy Rosary Cemetery in Darlington. A visitation will be held Sunday, March 31, 2019 from 2:00 P.M. until 3:45 P.M. at Erickson Funeral Home (508 Main St., Darlington). The Erickson Funeral Home in Darlington is serving the family. Online condolences may be expressed to the family at www.ericksonfuneralhome.com. The family requests all who attend dress casually. For those who prefer, a memorial fund has been established in Fran’s name. To send flowers or a remembrance gift to the family of Frances C. "Fran" Fink, please visit our Tribute Store. Memorials may be written out to "the family of Frances Fink"
"Email Address" would like to share the life celebration of Frances C. "Fran" Fink. Click on the "link" to go to share a favorite memory or leave a condolence message for the family.